The gripping sequel to Tunnels. Will is going deeper under the earth. Deeper into horror, heat and darkness. Every step takes him deeper into mystery. 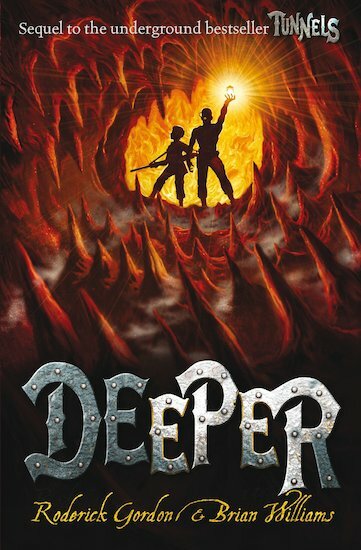 Deeper into terrible danger… As Will, Cal and Chester venture ever further into the Deeps, they enter a place where those banished from the Colony stand almost no chance of survival. Battling heat and deadly prehistoric creatures, they tunnel through caves and deserts – but are they any closer to finding Will’s father? And now that the Styx are on their tail, what chance do they have of completing their foolhardy mission? Roderick Gordon is one of the co-authors of the Tunnels series. Brian Williams is one of the co-authors of the Tunnels series.